Aged 82 and having battled with cancer for a decade, gown extraordinaire, Oscar De La Renta died yesterday. As one of the designers that put New York on the map in the 70s and 80s, the man who dressed several first ladies and even more famous figures on the red carpet and some down the isle, De La Renta will surly be missed. Born in the Dominican Republic and raised in spain, De La Renta worked with Cristobal Balenciaga and Elizabeth Arden before starting his own label in Manhattan in 1965. The fashion icon who’s approach was to make a woman “feel her best”, won awards for his amazing bridal collections and was considered “King of the Evening”. 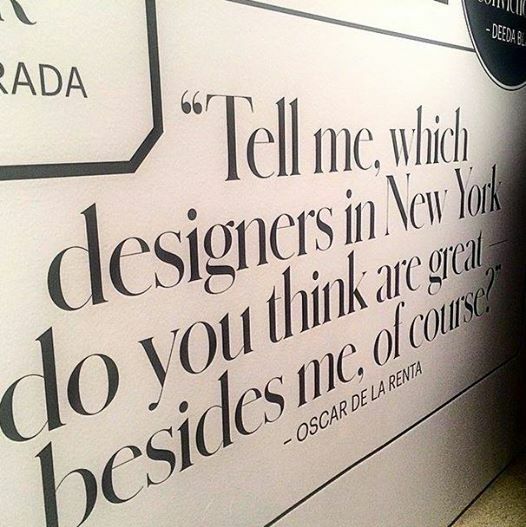 De La Renta never did anything by halves. He was a true contributor to high fashion as well as bridal wear and will never be forgotten. Just weeks ago he put on a fabulous show at New York Fashion Week and more recently, dressed George Clooney’s new bride. Due to his exquisite designs that left you somewhat speechless and his elegant approach, he was a personal favourite of mines. Every design was so unique, beautiful and well thought through. From every layer of lace, every floral pattern and every sequin sewed on to every section of embroidery and every fit and flare; Oscar De La Renta’s collections were both flawless and faultless every single time. Whenever a beautifully immaculate, jaw-dropping and standout gown was worn down the runway, red carpet, awards ceremony or inaugural ball; you knew when it was a De La Renta dress, without reading the caption. His designs were statement-making yet in a discrete and elegant way. Everything about his work was beautiful and i loved it (still do). You can’t not admire his work. He truly is a legendary designer. To the man who battled with cancer for 10 years and didn’t let it knock him down; Rest In Peace Oscar De La Renta.